Well done to our three school football teams who have played several exciting matches during September and October. The Senior B team had their first victory over Bishop Galvin on Thursday while the Junior team were very unlucky in their last match against local rivals St. Pius. Here we can see them listening carefully to Ms. Byrne’s and Mr. Hallinan’s pep talk. 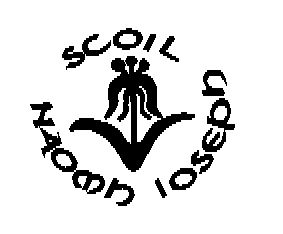 Our Senior team have qualified for the semi final of the shield following a thrilling victory over Scoil Eoin Bosco in Castleknock.Match report here. The semi final will be played at the same venue after Halloween. Cardboard Bicycles on the way? Well done to past pupils Brendan Bentley and Niall O’Sullivan who have both won All Ireland minor football medals as subs on the Dublin team which defeated Meath on final day. Hopefully, they can go on to emulate our All Ireland senior medallists Paul Curran, Brian Stynes, Denis Bastick and Eoghan O’Gara. 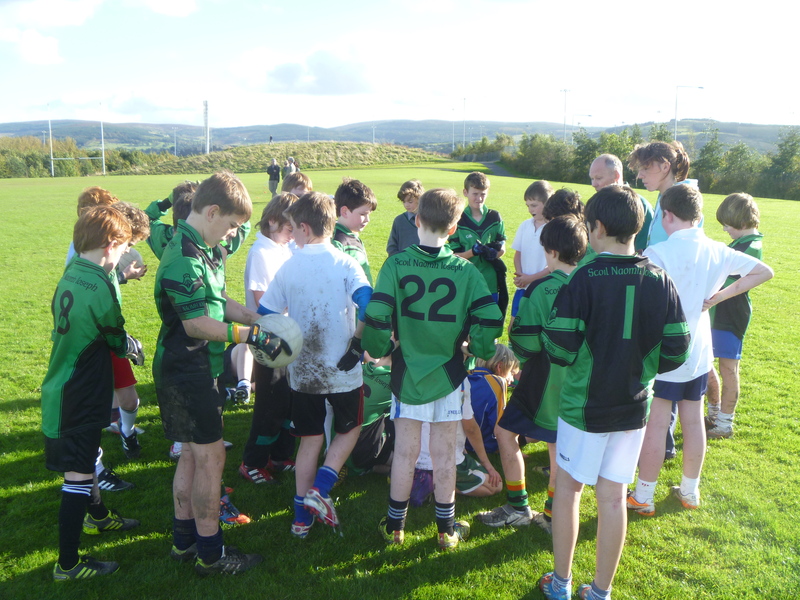 Here they are part of the school team which contested the Corn na nGearaltach final in 2005. Brendan played in a few of the matches in the Leinster championship and was also on the panel beaten in the final last year. Niall was called up to the squad during the summer following a great display for Templeogue Synge St. while marking Dublin’s star forward Cormac Costello. Hard luck to Chris Bennett who played in both the Leinster final and All Ireland final drawn match for Dublin minor hurlers. They were beaten in the replay by Tipperary but Chris has two more years as a minor and maybe in the future he can be part of the first Dublin team to win the senior hurling title since the 1930s.